A Step-By-Step video is at the bottom of the page. 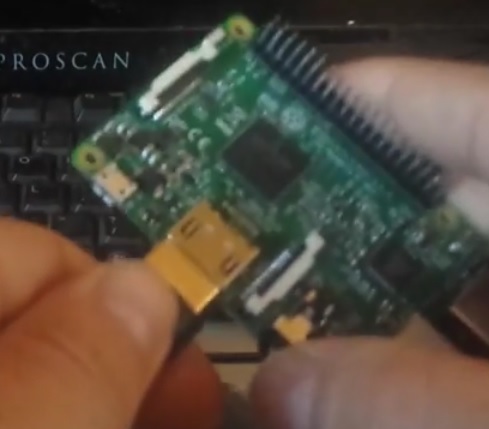 Installing Kali Linux 2.0 on a Raspberry Pi 3 is a straight forward task. If you have installed Kali on a Pi 1 or 2 the steps are the same. The first step is to download the Kali Linux 2.0 Image file for the Raspberry Pi 3. 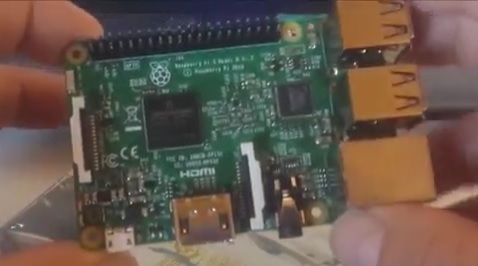 There are other Image files so scroll down to the Raspberry Pi 2/3 download. After the Image file is downloaded it will need to be extracted. Most computers will not have the right software to extract it. 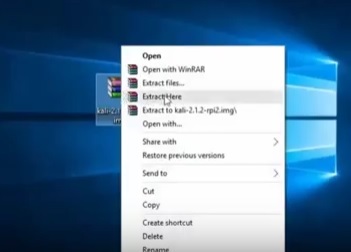 WinRAR can be downloaded and installed to extract the Image file if you dont already have software to extract it. After the Image is extracted it is ready to be written to a SD-Card. Win32Disk Imager is a popular free disk writing software that can be used if you dont already have one. The minimum is a 8GB SD-Card although a bigger 16GB or 32 GB is much better since more tools can be downloaded and run. Load the Image file into Win32Disk Imager and write to the correct drive. Be sure to have the correct drive selected as it will overwrite any drive that is selected!! It will take a few minutes to write the package and then say Write Successful when its done. Once the Image is written to the SD-Card it is ready to install into the Pi 3. Everything can now be plugged into a monitor or TV with a HDMI cable. A old keyboard and mouse can be used as a controller. After powering up the Pi 3 it will go through a boot up process. The screen will go blank a few times which is normal. At his point you should have Kali Linux installed on the Pi 3. The above steps are to get Kali 2.0 basic install on a the Pi 3. After installing Kali on the Pi there will not be many tools by default and they will need to be installed. After installing this it need a driver for wireless keyboard?? I followed every step, but whenever I start RPI , it doesn’t boot up, green light blinks 2 times and again 1 time after some seconds and then nothing happens , please help. awesome!!! 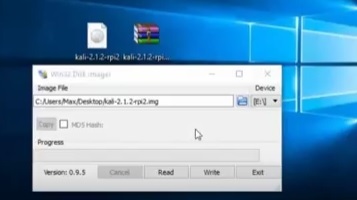 thank you so much for the tutorial on how to install a completely bare and totally naked copy of debian jessie linux, with kali picture as desktop background. Wait!! I’ll just go ahead and do an apt-get update, apt etc., etc., and….. Awesome!!! There we go!! The application menu is populated with categories that Kali linux is supposed to have. Uhhhmmm….. Wait a second…. I see the categories, but all of them seem empty. I mean theres nmap, sqlmap, john, aircrack, wireshark, nmap, nmap, sqlmap, wireshark, john, sqlmap, nmap, and looks like maybe a couple other useless scripts nobody cares about. 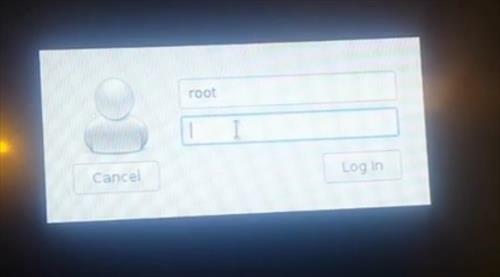 Uhh, Are we really gonna call this Kali Linux guys? 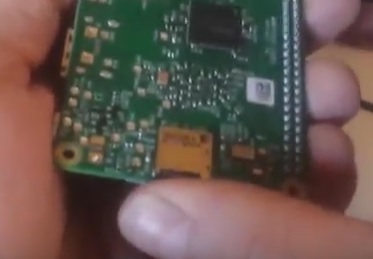 Errr, I dunno… I just thought that when someone says I am going to show you how to install Kali Linux on your Pi 3 step by step, that maybe I would have something that remotely resembles Kali Linux afterward. This bums me out. Seems as though I’ll have to be the first jerk to call this for what it really is. I’m just totally disappointed in whoever started this fiasco lie of lameness that, so it could be repeatedly plastered all over Internet. For those of you that don’t know or maybe forgot, allow me to remind or assist. Kali Linux is the totally refined and updated distro of Backtrack Linux. It serves the wide range of beginner through professional “pen tester” by providing them with a single one stop Linux OS Distribution containing an up to date assortment of the best and most useful tools for every aspect of the Pen Testing industry ranging from old to cutting edge, script to GUI. Nevertheless, the distribution has pride in making sure all the tools within their wide assortment, old and new, all extremely useful to the pen tester, a lot of them already considered an industry standard. I think those of us that use our thinking caps can agree that a zebra is not a horse. And, an empty Debian Pi distro with a Kali repository, Kali menu categories, and 3 useful tools from the real Kali Linux, is not Kali Linux. I would think if Kali could talk, she would say that she is totally embarrassed and ashamed to share her name with this impostor. And no, I am not going to spend forever trying to add the tools that are in Kali Linux. That kind of defeats the point, doesn’t it. This is lame. It should be obvious that the Pi will not hold a complete Kali Linux install with most tools not installed by default. As great as the Pi is it has limitations, for a full Kali Linux install use a laptop. 1st the .xz file format is opened with winzip or winrar but you need a updated version. An old copy does not recognize a .xz format. That said you need to unlock it or a free trial otherwise it will only unzip half the files. Second that; should be first, make sure you get a legit copy from the legit site not some bootleg from a third party site or nothing will work. #3 DONT use power ISO or ULRA ISO to write the image to SD…. it will not work… it will ask for win32 or linux? Either will not work. So dont bother. 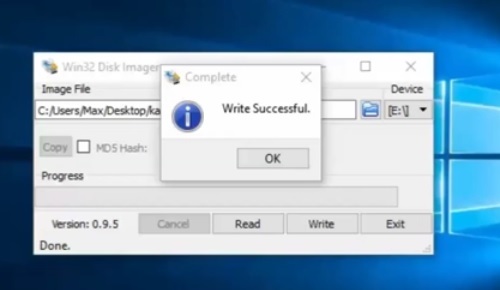 You have to use Win32DiskImager and write directly to the SD card. It took me an hr but i got it to work fine. You have to use Gparted to expand the root file system. Thank you for this very informative article! I wanted to try Kali on the Raspberry, thanks to your advice I succeeded! After installing Kali on microSD, it seems to boot Raspberry PI3 correctly, it works keyboard but no image is displayed on the screen. Bluetooth and Wireless Drivers not working. I can connect to wifi networks through internal wifi adapter but if I use airmon-ng, shows me ‘???? ?’ under drivers. The bluetooth is not working. I don’t wanna use an external adapter if RPi3 has one on-board. when I try downloading the file i get a double xz.xz file name. I tried removing one and using B1 archiver but nothing. I need so me help here. I am trying to install Kali on Raspberry Pi 2 and it boots up to the rainbow screen. 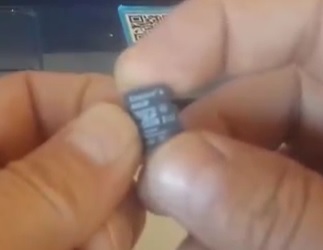 Read several forum posts that pointed to power and faulty SD card. After several unsuccessful tries, I installed Raspbian and it booted up without any issues. I am using a Samsung EVO Plus 32GB Class 10. Tried adding the “boot_delay=1” but still not booting up. I am using a Macbook Pro with the latest OS. I tried installing with terminal and with Apple-Pi Baker app. I dont know what else to do, does anybody have any suggestions that i can try? Try a more powerful power supply. I installed kali, and it boots up, but-it is completely clean version. So I tried to apt-get install gparted, leafpad, and , apt-get update-I got errors. how to update kali linux correctly on raspberry pi ? Do you know a wifi adapter i can add and use monitoring mode with airmon-ng that works out of the box with latest kali (RPI 3 version) ? Thanks for the article and the video. It is not working for me. I followed same steps and no display. 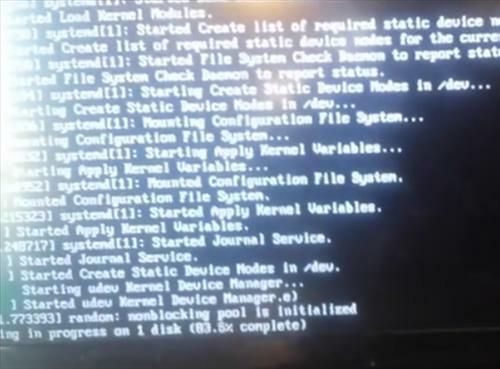 Every time I try to boot my Pi with Kali, it is going on to emergency mode, did you ever face that problem or would you happen to know why its doing that? Same for me. Did you find a solution? Run “fsck -y” it will repair locked files, then reboot. Should resolve issue. When I download the Kali Linux ARM image for Raspberry Pi, it is not in zip file format or neither in .iso file format. It is in .xz file format. (kali-2.1.2-rpi2.img.xz) So if I remove the .xz it becomes .img but if I write it in my SD card and connect the hdmi cable nothing happens. Can you please give me your Kali Linux ARM file. Since you downloaded the Kali package you have the same one I would have. It simply needs to be extracted using WinRAR or similar software than written to the SD-card. I can think of a number of problems that could cause your issues that need to be gone through and checked, such as bad SD-Card, not being written correctly, bad HDMI cable, malfunctioning Raspberry Pi, Power supply and so on. By the way says ‘remove the .xz’, it leads me to believe that this person didn’t try to extract the file, but rather simply tried renaming the file. I doubt it had anything to do with the card’s condition. It appears that it was simply a poorly done imaging job, based on a lack of experience with working with compressed system-images. The reference to .zip & .iso makes me think that they may have had a reasonable amount of background experience with Windows systems, but not with Unix/Linux type systems, where a file extension ending in a ‘z’ usually is indicative of the file being compressed. Either way, 7zip will extract these files, and it’s freeware. I don’t recommend WinRAR under any circumstances, mainly because it’s commercialware that is totally unnecessary for working with Linux based systems where there are ported version of the tools available for Windows as well that are also Open Source licensed, and also because WinRAR has become a targetting application for security exploits in recent years, with often just the core-libraries alone being enough to open the host-system to exploit. 1.) Download 7Zip and install it. 2.) Right click on the .XZ file and Extract Here. 4.) Open said .img file and click Write wait for it to finish. Use 7-Zip to extract. Right click on the file and click extract here.